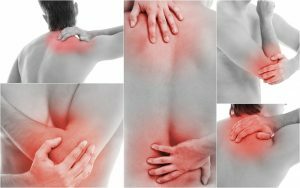 After many years working as an acupuncturist and seeing many patients with a wide range of conditions, it has become clear that many live with short term or chronic long term pain. Many hospitals offered acupuncture as part of their pain management service. However due to cuts in funding, acupuncture is becoming less freely available. Also, the process of being referred for investigations in relation to pain is proving difficult. Many patients are advised to take a course of painkillers and/or anti-inflammatory medications instead. Since 2016 physiotherapy services in Mid Essex has reduced. Patients will now receive self-management advice for 6 weeks. Referrals for physiotherapy are considered only if the condition is deemed to be significantly painful or impaired. In the meantime, pain may affect lifestyle, job, sleep, mental health and those close to them. If you are suffering from short term, long term chronic pain or post-surgical pain and are not being offered acupuncture as a method of pain relief, then get in touch. HOW CAN PAIN BE MANAGED? Although it may not be possible to stop pain in all cases, acupuncture may help to reduce the level of pain and thereby reduce amount of medication needed. It can give people some control over their condition and get some quality of life back. Acupuncture should not be thought as a cure but a therapy that can work well alongside conventional medicine.